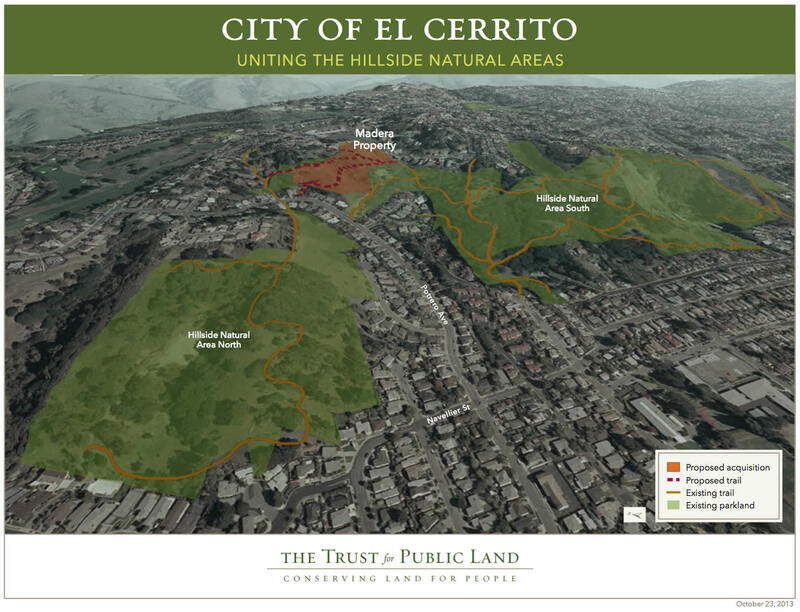 The El Cerrito Open Space Campaign has raised $60,000 towards its $100,000 goal to help buy the 8-acre Madera Open Space, which is adjacent to Madera Elementary School. That land will become part of the city’s Hillside Natural Area and will remain open space forever. It will provide students a walkable route to school and can provide environmental educational opportunities into such topics as ecology, geology, botany, and habitat restoration. The funds we raise will reduce the amount of park bond funds the city spends on this property, thus preserving funds for parks and open space elsewhere in town. Donations are tax deductible. Donors may choose to receive public thanks on a large sign and in printed materials and on our website. For more information, to donate, or to get involved visit the Madera Hillside Open Space information webpage at www.ectrailtrekkers.org, send a check payable to “City of El Cerrito” with memo: “Madera Hillside Acquisition” to Pam Austin, El Cerrito Open Space Campaign Treasurer, 834 Kearney Street, El Cerrito CA 94530, or contact Dave Weinstein. Next PTA Meeting – Monday November 17, 7-9PM – Come Join Us!